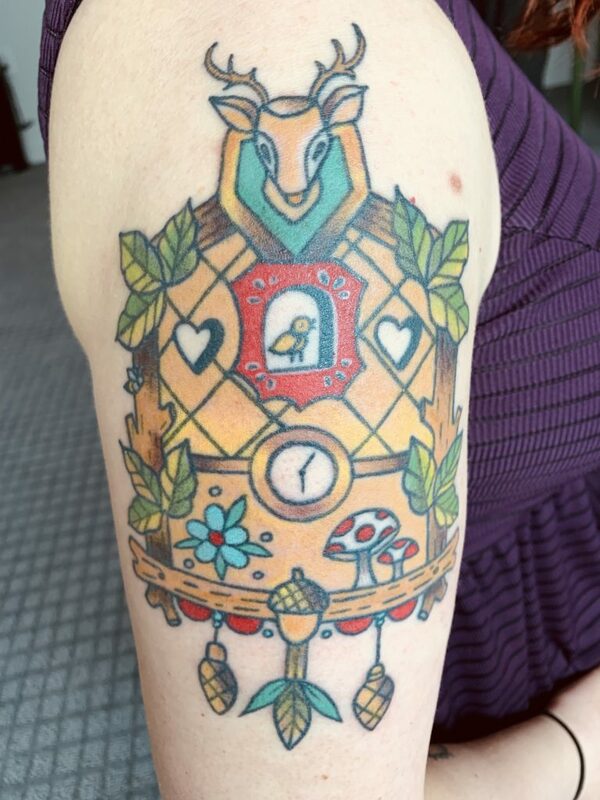 I’ve had my darling cuckoo clock tattoo since September (full story here), and have been debating whether or not to add color. 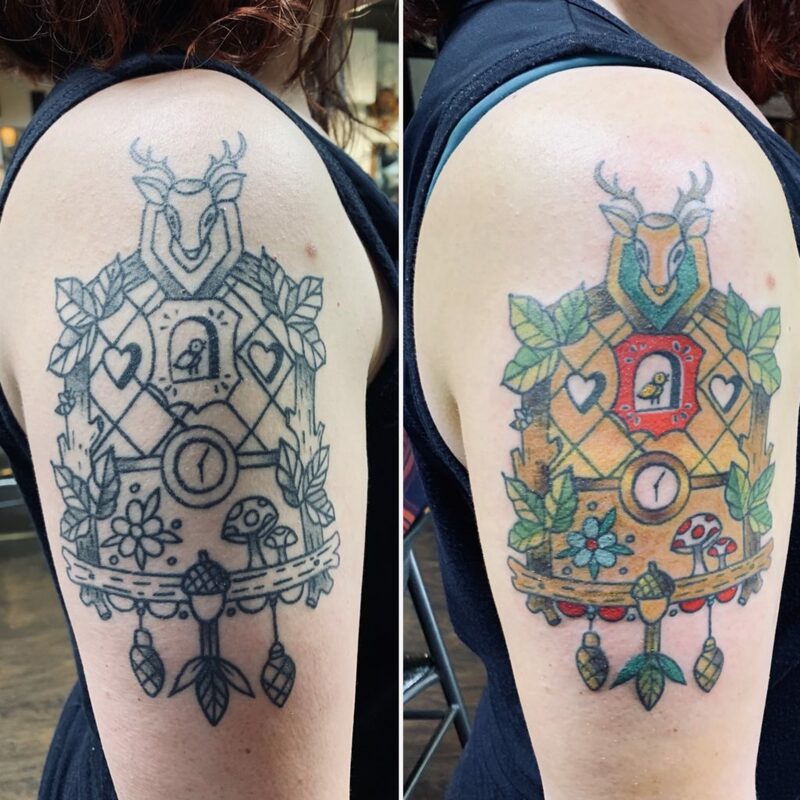 It was my friend Stef who nudged me over the edge when she got her own new tattoo with gorgeous, playful colors. 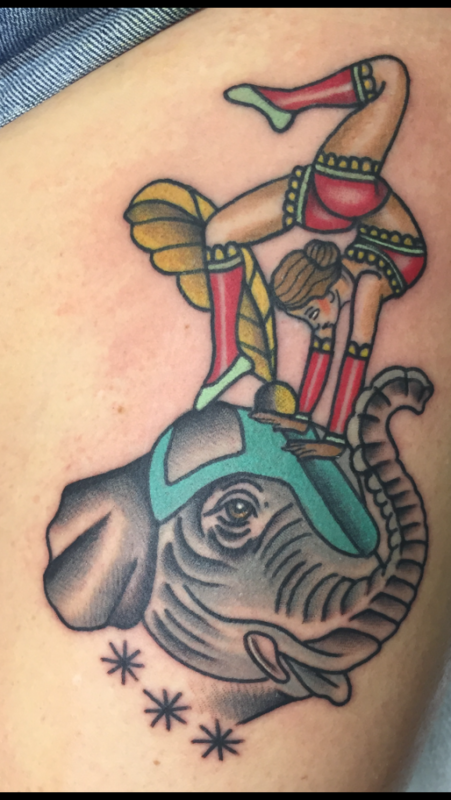 Stef’s circus elephant & lady (below) was designed and executed by the same artist, Cambria, that I see for tattoo work, and Stef gave her full control over the color scheme. And so I asked Cambria to take the reins. In the comparison below the color is brand new, and so my arm is incredibly red and puffy. 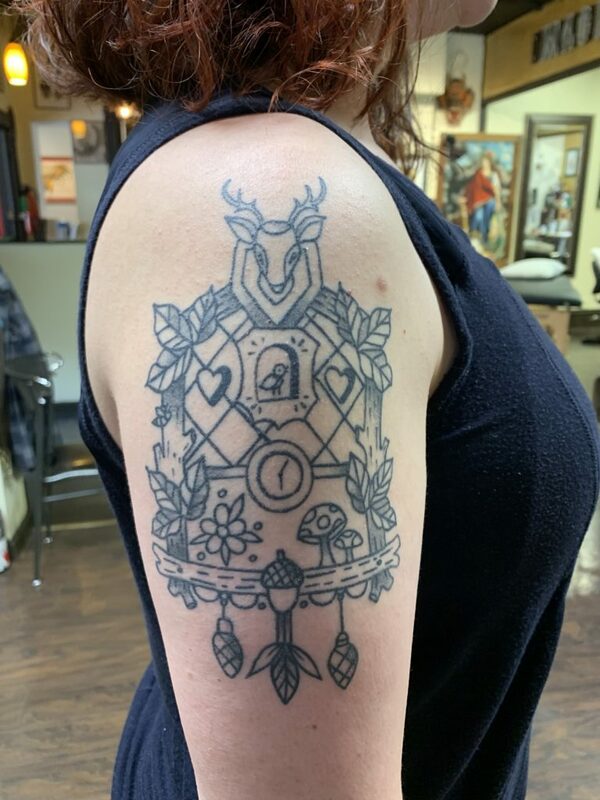 (By far, my hardest tattoo session to sit through. …So far!) Cambria says the colors will brighten a bit more as the redness dies down. Part of why it took me so long to commit to colors was that I had a hard time picturing what they would look like: will the clock just be brown and the leaves green? I’m glad I stepped out of the way and let an actual artist bring her vision to life; Cambria’s colors are full of gradations and texture and are anything but the flat image I had in my head. I also think the colors help your eye make sense of the clock more quickly. Any guesses about what I have planned next?